BIAFRA: PRESS RELEASE: ONLY THE RESTORATION OF BIAFRA WILL END THE MARGINALIZATION AND PERSECUTION OF THE IGBO NATION. Indigenous People of Biafra (IPOB) condemn the recent and ongoing harassment of notable Biafran businesmen especially those of Igbo extraction by the Nigerian Government and her security agencies. 1. The impotency of political leadership in the East, coupled with intellectual myopia of the governing class. This remains the leading contributing factor to the unrelenting humiliation of leading figures from both the South East/South South by Arewa North and her para military institutions. 2. Ongoing policy of de-industrialisation of the East. Had Innoson sited his factory in Lagos or Kaduna, every possible line of credit would have been extended to him but due to the fact his company is located in Enugu, he must be chased down and destroyed. This hopefully is to serve as a deterrent to others who might be entertaining the idea of relocating their businesses to Biafraland. 3. Politics of appeasement and sabotage of collective interest by Ohaneze Ndigbo, PANDEF and similar interest groups. Age long South East/South South political philosophy of cowardly acquiescence to the dictates of the North, regardless of the consequences on the psyche and well being of the masses, is a major motivator for government agencies, headed by Northerners, to destroy indigenous Biafran businessmen at will. Nigeria is guided by the knowledge that politicians from the two geo-political zones that make up Biafra are terrified of the mythical might of their Northern masters and will be prepared to condone every manner of evil against their own people. Ohaneze Ndigbo and South East governors are to blame for this major embarrassment and humiliation of the topmost entrepreneur in black Africa. What Innoson Motors has accomplished so far, no Indigenous business in Sub-Saharan Africa has been able to do. If Innoson Motors were owned by a Northern Hausa Fulani man, he would have been revered and idolised to high heavens. But because it is a business owned and run by a Biafran and equally sited in Biafraland, it must be destroyed. 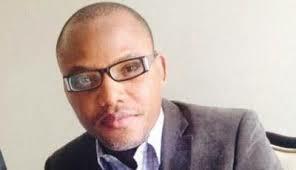 Since the emergence of this Buhari regime, Biafrans of Igbo extraction have been lurching from one persecution another. After Operation Python Dance which had the backing of Ohaneze Ndigbo leadership and South East governors, the Buhari regime have turned it's attention to the destruction of economic interests in the South East starting with Innoson Motors, in the hope of frustrating the first indigenous automobile company in West Africa because he opened his factory in Igboland. The effect of this ongoing persecution of Innoson Motors Company is as a direct result of the impotency of Igbo leadership exemplified by Nwodo's stewardship of Ohaneze Ndigbo. Today, the effects of the age long sabotage of public interest by the likes of Ohaneze Ndigbo and imposed political leadership have started manifesting negatively on our people. Arewa Consultative Forum, Northern Governors Forum and Arewa Caucuses in the National Assembly will never allow Dangote to be humiliated the same way Ohaneze, South East governors and Abuja based politicians allowed Chief Chukwuma to be so publicly insulted. We are warning those involved in the orchestrated campaign to frustrate Innoson Motors to desist from their evil act before it is too late. COMRADE EMMA POWERFUL MEDIA AND PUBLICITY SECRETARY FOR THE INDIGENOUS PEOPLE OF BIAFRA (IPOB).